This Situation Update describes events occurring in K’Ser Doh Township, Mergui-Tavoy District during the period between June and September 2017, including healthcare, education, livelihoods, transportation and development. 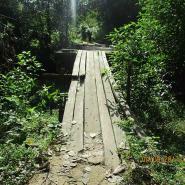 Many villages, especially Karen villages in K’Ser Doh Township, Mergui-Tavoy District face a shortage of teachers so students’ education has been interrupted. Some villages have resolved this problem by internally recruiting new teachers; however, it is a challenge for villagers to pay the new teachers’ salaries. Some villagers from K’Ser Doh Township, Mergui-Tavoy District, especially children and the elderly, face several barriers in accessing healthcare services such as a shortage of health workers, high medical fees and the absence of clinics. Villagers from La Baw and Eh Eh areas, K’Ser Doh Township, Mergui-Tavoy also face livelihood challenges because of transportation difficulties. 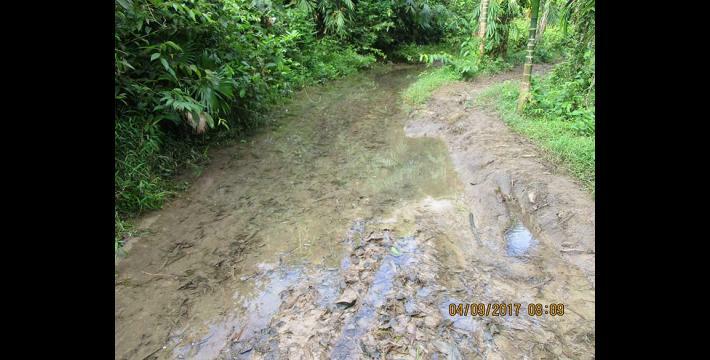 Some roads are unpaved and the quality of the highway in K’Ser Doh Township that was completed by the Burma/Myanmar government in early 2017 is poor. Civilians from K’Ser Doh Township, Mergui-Tavoy District request the Joint Monitoring Committee (JMC) to consider and address education, health and transportation issues instead of exclusively focusing on economic issues. Land confiscation in K’Ser Doh Township, Mergui-Tavoy District has resulted in land owners not having enough land to farm. This caused an increase in livelihood and education difficulties; in response, many young people have migrated to Thailand to pursue job opportunities. The following Situation Update was received by KHRG in September 2017. It was written by a community member in Mergui-Tavoy District who has been trained by KHRG to monitor human rights conditions. It is presented below translated exactly as originally written, save for minor edits for clarity and security. This report was received along with other information from Mergui-Tavoy District, including three interviews and 7 photographs. This Situation Update describes events occurring in Kleh Mu Htee area, K’Ser Doh Township, Mergui-Tavoy District during the period between June and September 2017, including education, health, livelihoods, transportation and development. The quality of education in [Kleh Mu Htee] area is decreasing because there are not enough teachers available. Most of the [schools] in Karen villages in Thayatchaung [K’Ser Doh] Township face a shortage of teachers. Villagers report that some schools only have one principal and one teacher, some schools only have one teacher and some schools only have one principal. Regarding the education situation in D--- village, school principal U A--- explained, “There is only one principal and one female teacher in my school so we face major teaching challenges. I had three other [Burma/Myanmar government] teachers last year, but they applied to teach and take on responsibilities in other areas this year and there were no other teachers available to replace them. Therefore, we faced a difficult situation.” U A--- is also the B--- village tract education administrator so he is busy travelling [for meetings] and as a result does not have sufficient time to teach. He feels sorry for interrupting his students’ education. After he described his difficult situation during a [Burma/Myanmar] Township level education department meeting, he requested to resign from his position [as B--- village tract administrator] so that he could use more of his time teaching. The other education staff and administrators [who attended the meeting] did not accept his request and so he was not permitted to resign from his position. After [D---] village leaders held meetings with villagers about how to resolve their educational difficulties, they decided to hire an additional teacher to teach in D--- school. There are 30 households in D--- village which are jointly responsible for paying the new teacher’s 50,000 kyat [US $36.69] per month salary; this is challenging for villagers because they are working as subsistence farmers. Therefore, villagers have to work as daily labourers in order to earn enough money to pay the new teacher’s salary and allow the children in the village to continue their studies. If there are not enough teachers, students’ education will be interrupted and some students will not be able to read the alphabet [in local and English languages]. 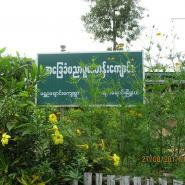 This issue primarily affects Karen villages. Furthermore, students have not sat any tests [end of term examinations] so this is a major challenge for the students’ future and education. The D--- school currently has three teachers and 59 students between kindergarten and Standard 4. Of the three teachers, two are Burma/Myanmar government teachers (one teacher and one principal) and another teacher is a village teacher [newly hired internal replacement]. Principal U A--- said, “I feel so sorry to see the students’ education interrupted. As the Burma/Myanmar government education department does not provide teachers for us, I don’t know what to do [how to solve this problem]. I will report this situation to the Burma/Myanmar Township level education department at the end of August. Actually, [Burma/Myanmar government education department] authorities already know about our challenges, because they provide our monthly salaries and they know how many teachers we have. Anyway, I will report this situation to them as I am responsible for it." Principal U A--- also said that many other Karen villages do not have enough teachers, especially small villages. 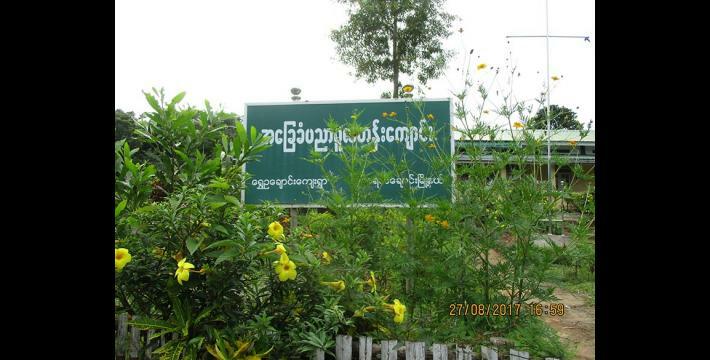 Students’ studies are also interrupted because teachers take long paternity/maternity leaves when their delivery date is close and the Burma/Myanmar government [education department] does not then provide substitute teachers. Therefore, village leaders and villagers have to both find a substitute teacher and pay their salary, which burdens villagers. Some students who have difficulty reading are hit on their heads by teachers [in K’Ser Doh Township], which causes some students to get nosebleeds. Some students have stopped studying both because of the teachers beating students and also because their parents cannot afford to financially support the students’ studies. Regarding healthcare in K’Ser Doh Township, local villagers report that there are no proper healthcare services in their area [K’Ser Doh Township] so they face many healthcare challenges. They report that children and the elderly were facing coughs, runny noses and flu during the heavy rainy period. There is one Burma/Myanmar government clinic and a female health worker in La Baw area, but healthcare services for the local villagers are inadequate because the health worker is usually absent. When villagers are sick, the health worker was away from the clinic and moreover, even when she is available and villagers are able to visit her at the clinic, they have to pay high healthcare service fees. Therefore, accessing healthcare is a major challenge for poor villagers. [In some areas in K’Ser Doh Township], there are no health workers so villagers must buy medicine from the shop when their children are coughing but some medicine does not cure the cough. Some children who have been coughing for a long time were diagnosed with TB [Tuberculosis] when they went to see a doctor in Palaw Town. These children had to take TB medicine for six months, which consequently increased parents’ workload. Since they [parents and children] have to obtain medicine from the hospital every month, villagers who live in rural villages face major travelling difficulties because the distance is far [difficult to access because there is no bridge or good road]. To reach the hospital, they have to cross the river by boat while it is raining heavily. Some students have also stopped going to school because as they are diagnosed with TB they might infect their schoolmates. Therefore, The KNU and Burma/Myanmar government should empower civilian healthcare services. Villagers from Wa Hkaw Doh, La Baw, Kweh Hkeh and Htee Ser Kwee villages, La Baw area and villagers from Eh Eh, Si Hpa Leh, Klaw T’Kwa, Noh Nee, Ler Hta Say and D--- villages, Eh Eh area, K’Ser Doh Township, Mergui-Tavoy District face transportation challenges, especially during the rainy reason. 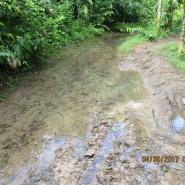 Local villagers reported that many roads are not good [unpaved] or were flooded so villagers had difficulty travelling either by motorcycle or by foot. This negatively impacts villagers’ ability to secure their livelihoods as well as their ability to reach health workers for medical treatment. 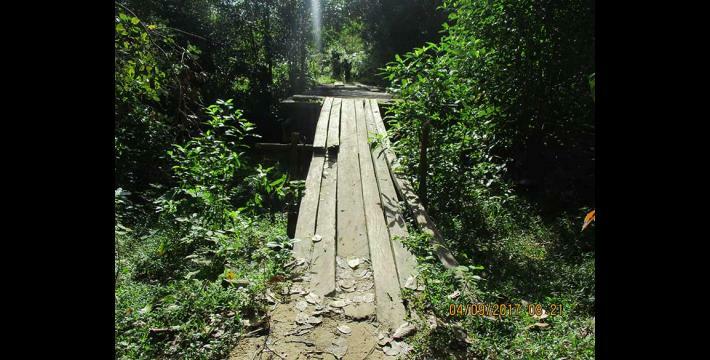 Villagers reported their concerns regarding the quality of the Wa Hkaw Doh village road to the Palaw [K’Ser Doh] Township [Burma/Myanmar government] parliament representative in 2016, but they have not received any response. Some parts of the highway [in K’Ser Doh Township] that were constructed in [early] 2017 are damaged. This indicates that the leaders [who are leading the road construction] are not monitoring the quality of the road construction. Instead of finishing the job once and constructing a high quality road, they do not monitor [the construction process] so they have to repair the road again and again [after they finished the road]. Therefore, every [Burma/Myanmar] government department should improve their management policies and practices. Villagers are not responsible for fixing this issue so they request the Joint Monitoring Committee [JMC] to intervene and resolve current transportation, healthcare and education issues. Most of the JMC meetings are focused on economic issues, so villagers request the JMC to also consider transportation, healthcare and education concerns. Most of the local people [in K’Ser Doh Township] are working on plain and hill farms, and working on plantations for their livelihoods. There are no other opportunities to earn additional income so some villagers face food shortages. Some people who plant paddy had to replant the paddy around three times because of damage caused by animals [insects and mice] and flooding. Villagers whose lands were confiscated by companies such as Pwin Pyo Htun Company face livelihoods problems such as food shortages. Consequently, their children had to migrate to foreign countries like Thailand and go to other areas far from their villages in order to access job opportunities that would provide food and income for their families. Some young people do not have opportunities to study so they migrated to Thailand for jobs. Some of the young people who [illegally] migrated [to Thailand] without a passport fear [for their security] and also do not earn sufficient salary from their jobs [to provide for their families in Burma/Myanmar]. Many young people also do not have good friends [in Thailand] and their bosses torment them so they have to move from places to places to find work [in Thailand]. As a result, their monthly salary is used for traveling [from place to place]. There are fewer young people in the villages and many young people have to live far away from their parents and siblings. The information reported in this Situation Update is about the villagers’ [in K’Ser Doh Township] experiences. Many villagers cannot solve these issues by themselves so they and their area leaders reported this information to KHRG and I [KHRG researcher] also did research. I report to inform the authorities about villagers’ concerns and the issues affecting villagers. KHRG trains community members in southeast Burma/Myanmarto document individual human rights abuses using a standardised reporting format; conduct interviews with other villagers; and write general updates on the situation in areas with which they are familiar. When writing situation updates, community members are encouraged to summarise recent events, raise issues that they consider to be important, and present their opinions or perspective on abuse and other local dynamics in their area. All conversion estimates for the kyat in this report are based on the December 12th official market rate of 1,362 kyat to US $1.